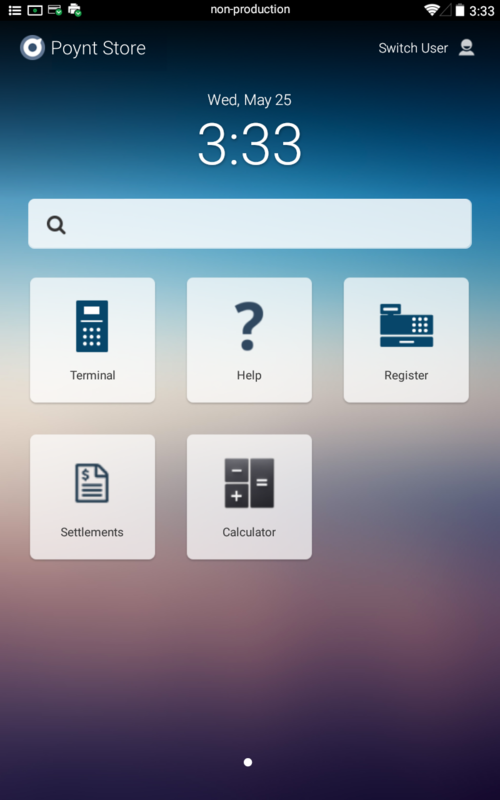 Your Poynt Smart Terminal has an updated Launcher Home screen! You still access your apps from the Home Screen. By default, your background will be set to the blue/black design with your Store Name and one-tap access to Switch User logins. Search box is available at the top and allows you to search transactions, customer, products, etc. Did you know? 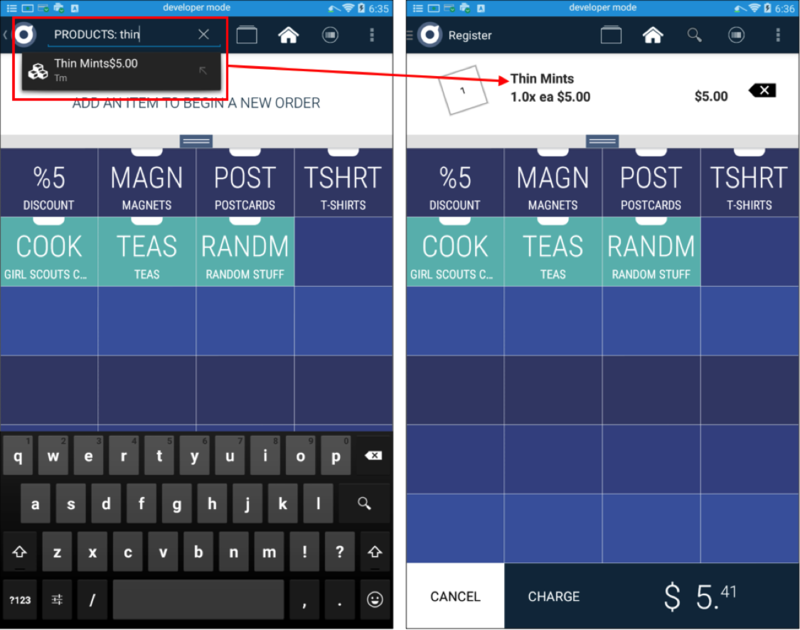 You can set your own custom background on both the merchant-facing screen as well as the customer-facing screen. Just log in to your Poynt.net HQ account > go to Business at the op > click on “Edit Store”. Then you can click on “Upload” for merchant screen and/or customer screen. 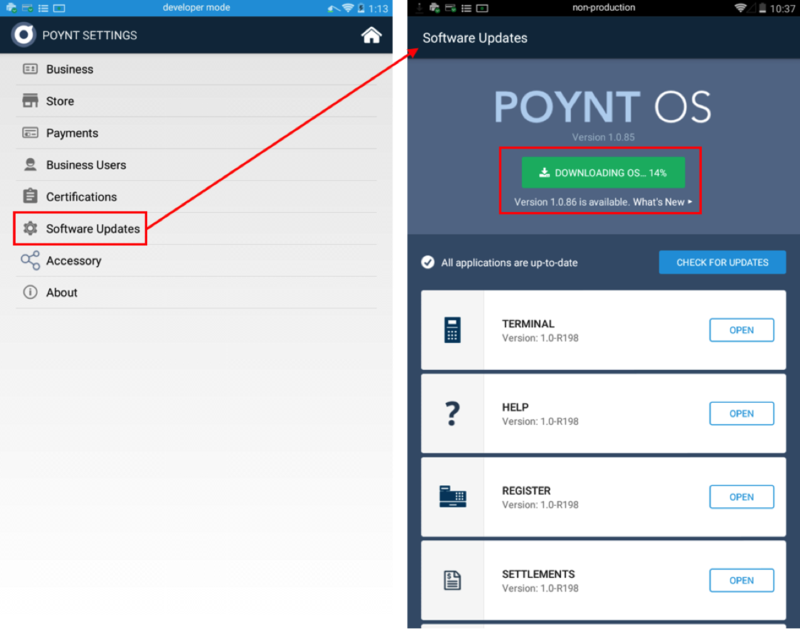 Now you’ll be able to check if/when new Software Updates are available for your Poynt Smart Terminal. Swipe down to access your swipe-down menu and Tap on Settings > Software Updates. You can check for any updates. Clicking on the green button will begin the software download process and you should allow the updates to fully install. Please note: If there is not enough battery power, your Poynt Smart Terminal will wait until you dock the device and/or the battery levels are greater than 20%. 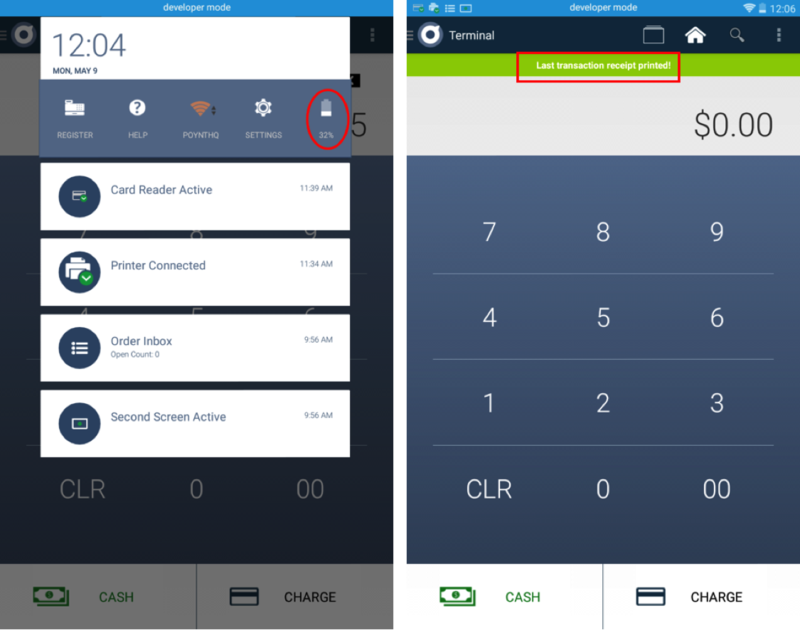 Your Poynt Smart Terminal has a new Transaction List design. 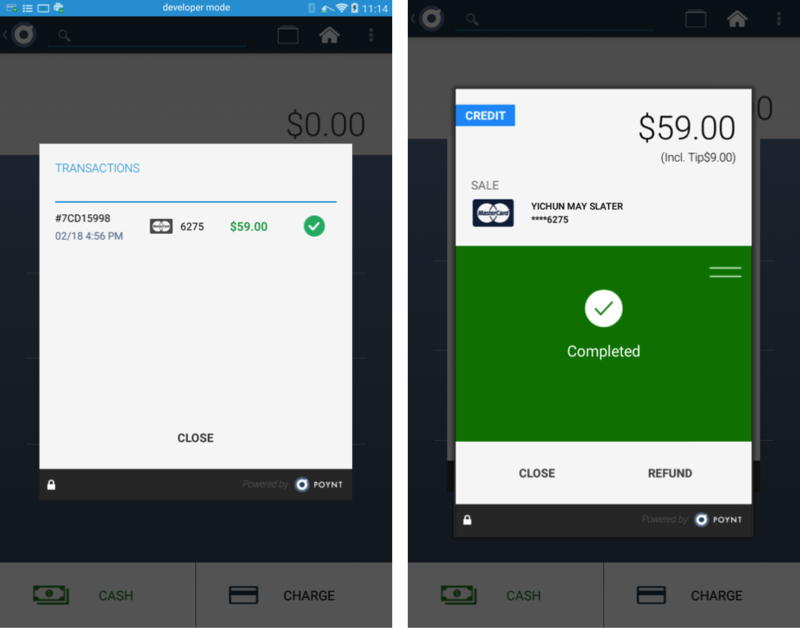 The font is larger and the rows are spaced apart more to make it easier to tap on the transaction you want to view. Did you know? You can always tap on the column headings to sort by any of the columns. Poynt Smart Terminals will retain transaction information on the device for either the last 7 days or up to 2000 transactions – whichever is the lesser of the two. For example, if you processed 3000 transactions during the last 3 days, you would be able to view the most recent 2000 on the Transactions List. Or, if you typically run 50 transactions a day, you could view up to the last 7 days’ worth of transactions. In order to look up transactions which were processed beyond your last 7 days or last 2000 transactions, you can use a new feature on your device called Poynt.net Cloud Search. Simply tap on the magnifying glass “Search” icon and choose the option for Poynt.net. The Search Results option will appear with any matches. Simply tap on the transaction you wish to view. 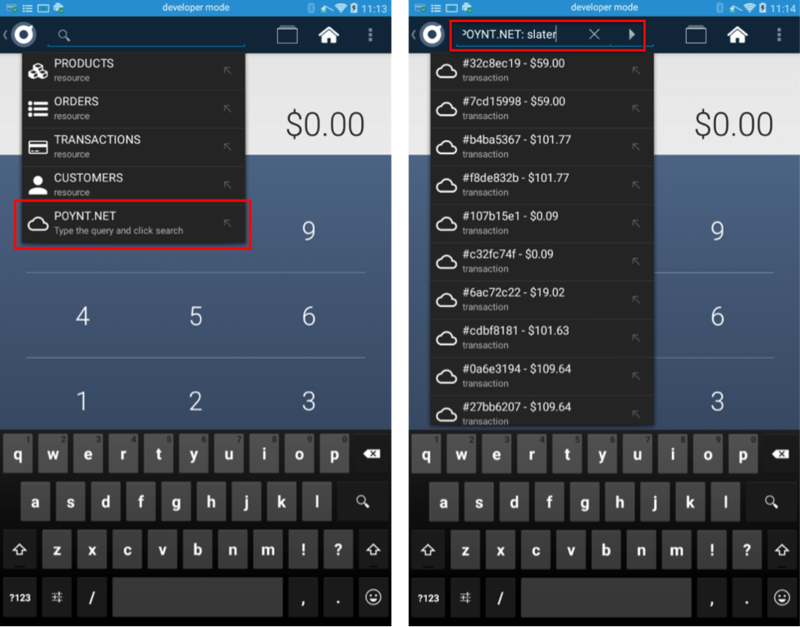 When you tap on a specific transaction from the Poynt.net Cloud Search, you can continue on to view the Transaction Details (similar to the normal steps for viewing details and/or taking action). For example, if you need to refund a transaction from a couple months ago, you can go ahead and tap the Refund button. We have made significant improvements in the Poynt Smart Terminal printer and the minimum battery requirements. 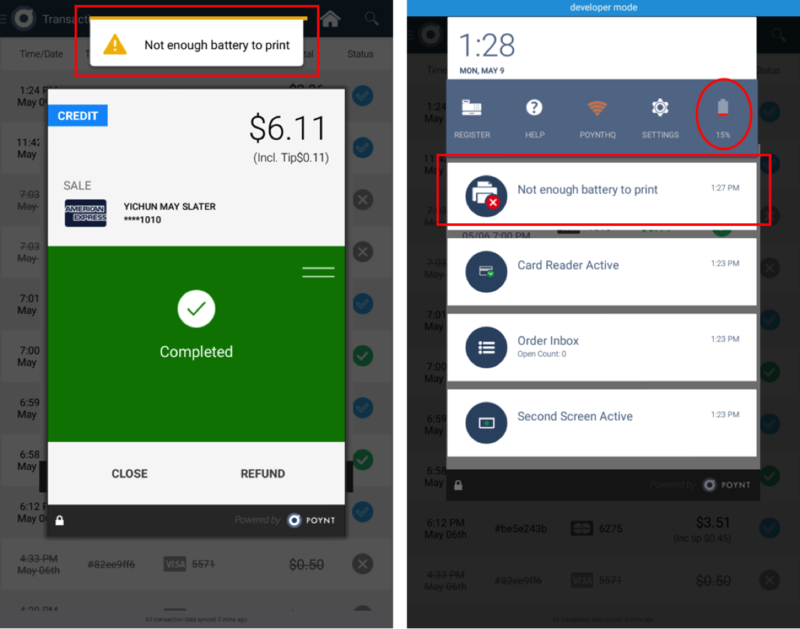 You can now continue printing receipts all the way down until approximately 15% battery power. If Poynt Smart Terminal has a battery level under 15%, you’ll need to set the Poynt terminal in its charging station in order to print a receipt. You’ll notice this requirement from the little red printer icon in the top left corner; this is an indication that your printer is not currently able to print and will simply require you to dock the terminal to charge. Or you will see an error message letting you know that there’s not enough battery to print. Or from the swipe-down menu, you can see your battery percentage. Previously, in Settlements App or Web Settlements, if you adjusted a transaction by adding a Tip Amount or if you marked an Auth-only transaction as ready for capture, you had to tap the green Settle button to complete the tip-adjustment or Auth-only added-to-batch. We fixed it so we remember and save your changes. Now, if you’re managing transactions throughout the day and not yet ready to settle your batch, the Settlements App and Web Settlements will save your changes for the Tip-Adjusted and Auth-Only transactions ready for batch until you’re ready to tap your green Settle button. Do you use QuickBooks Online? If you do, then we’ve rolled out an integration into QuickBooks Online to help you sync your Poynt transactions to your QuickBooks Online account. You’ll need to contact us at support@poynt.com to request us to enable this feature. Once we switch this feature on, you’ll be able to access this option when you go to Poynt.net > Sales & Reports > left-hand navigation for QuickBooks. With this integration, you’ll be able to export your transactions, orders, and customer data to QuickBooks Online. Features include automated daily syncs, as well as choosing a custom date range to export transactions. 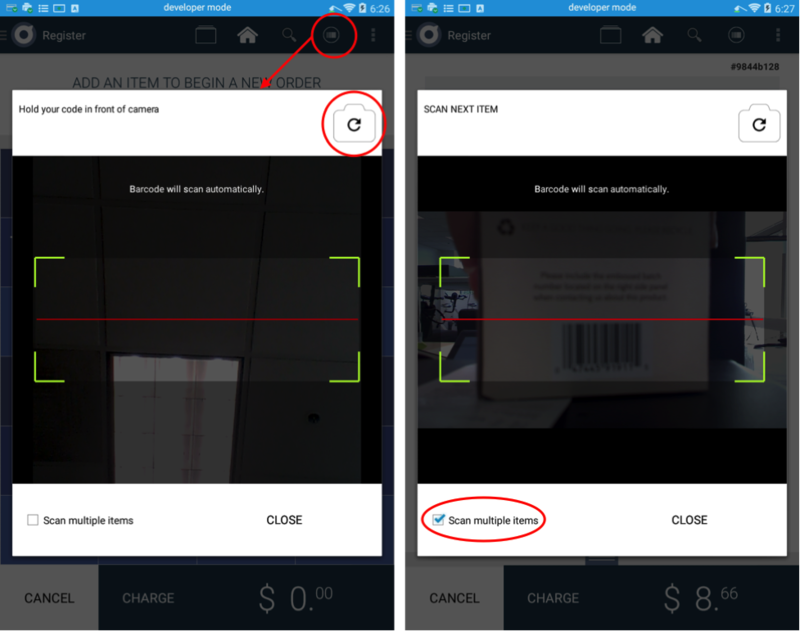 Merchants who use Poynt Register App can now use the built-in cameras for barcode scanning. There are two cameras – a merchant-facing and a front-facing camera. You can toggle which camera you want to use for scanning barcodes. Tapping on the Scanner icon will pop-up a window instructing you to scan your barcode. 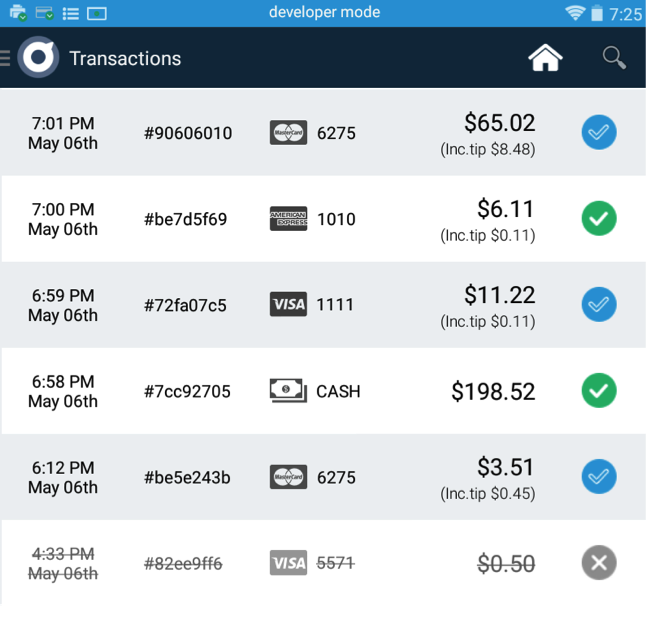 By default, the merchant-facing camera is enabled so you can simply wave a product over Poynt terminal (similar to grocery self-checkouts). To toggle to the front-facing camera (similar to handheld scanner), simply tap the Camera icon and then hold the product barcode in front of the Poynt terminal. You can also tap on the option to “Scan multiple items” if your customer has multiple products in their order. Another option for adding products to your Order in Register App is using the Search icon to Search by Product Name. Simply tap on the magnifying icon on the top right of your Register app. Select Search by Product and begin typing the name of your product. Tap on the Search result option to add that product to your order. Note: Search by product is recommended for products which do not have variants. If you tap on a product search result with variants, by default, Register app will add the chosen product with the first variant option. It’s recommended you use the Register app buttons for choosing products with variants. You can now connect an external barcode scanner to the Poynt Smart Terminal docking station. We will support USB / HID Barcode Scanners such as the Inateck BCST-20 model shown below. Your Poynt Smart Terminal will need to be seated in the dock for your external scanner to pass information to your Poynt device. 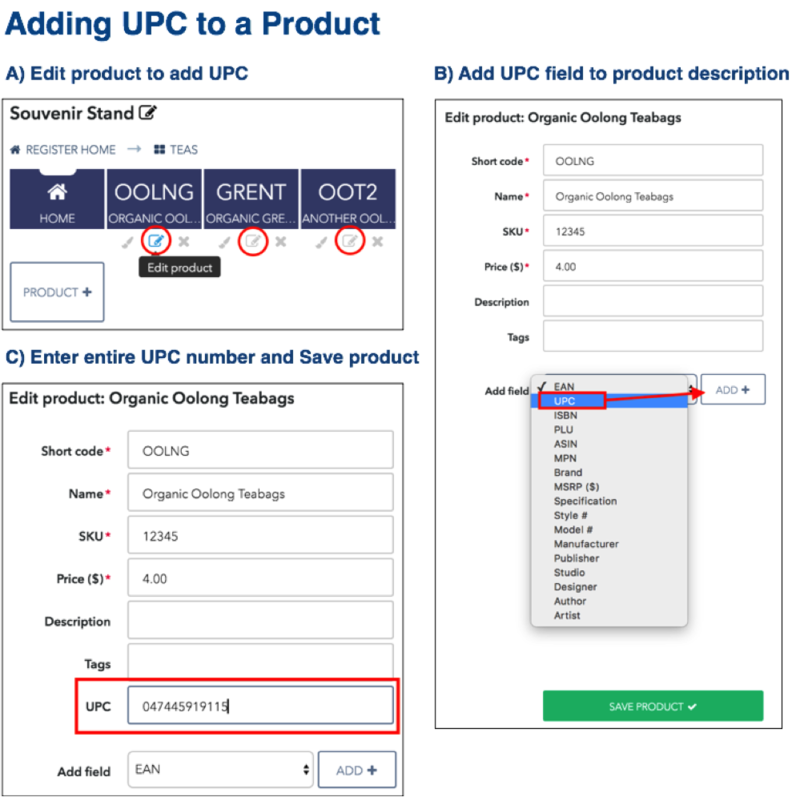 You will need to set up your Product Catalog to include UPC numbers associated with your products. Save your Product Catalog and make sure it’s assigned to your Poynt Smart Terminal. No further setup is needed. When you are ready to scan, simply go to your Poynt Register App and begin scanning product barcodes to add products to your order. Please note: We do not support USB/SPP scanners.